Nutcracker returns to Oz this month for another season of emperor mice, hand-made toys and little girl dreams. NOTE: Please read the following with a heavy Russian accent. After all, it is ballet we’re talking about here. The Moscow Ballet’s upcoming six-week tour of Nutcracker will feature an ensemble of 40 dancers, suitably lavish costumes and the grand staging of late-Romanov pomp. 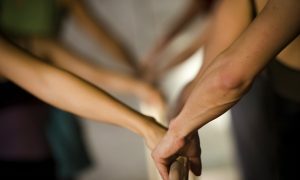 It’s all part of Melikov’s mission to keep classical ballet front and centre. 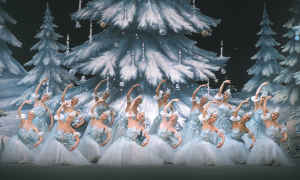 Melikov would doubtless suggest Nutcracker as a prime example of universal appeal and abiding simplicity. First performed at Moscow’s Mariinsky Theatre in 1892, it has become one of the definitive ballets. 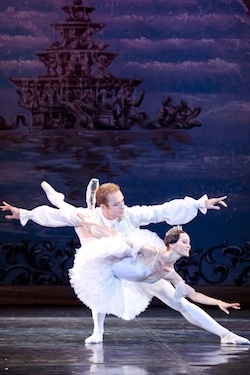 Driven by Tchaikovsky’s dramatic score it is ostensibly a G-rated Christmas fairy tale. Featuring the famous Dance of the Sugar Plum Fairy and The Waltz of the Flowers, it is almost defiantly old world, recalling a time of empire and gaslight. And it couldn’t get much more Russian than Nutcracker (even if the characters have German sounding names). 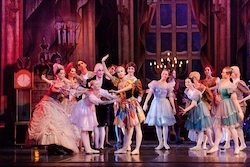 Photos: Moscow Ballet La Classique performing Nutcracker. Photos by Nadya Pyastolova. Photos courtesy of Lionel Midford Publicity.